The dates for the 2019 Ontario Cup have been posted and are available on the website. Click here for the upcoming dates. 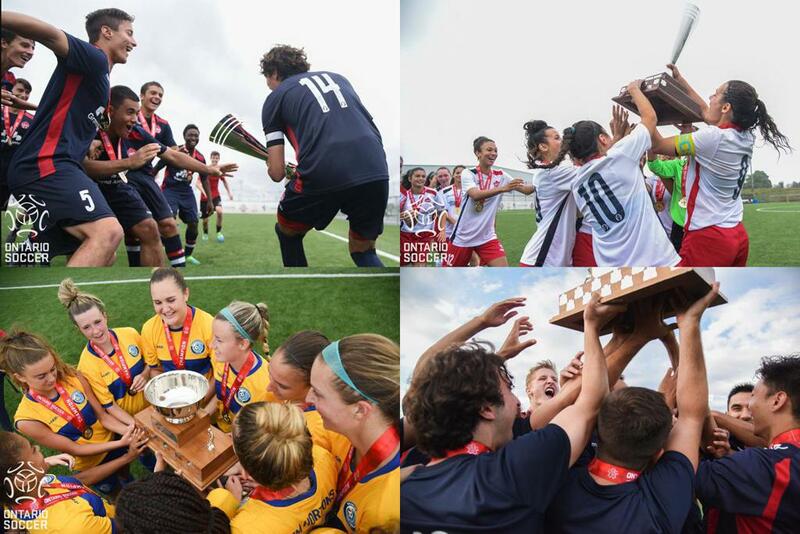 The Ontario Cup Preliminary Round will consist of a single knock-out game format. The winning teams will advance to the Ontario Cup Tournament Round. The losing teams will be eliminated from the competition. While it still means that some teams may only play one game in the competition before being eliminated, the number of teams that might be affected is much smaller than the single game elimination format for the entire competition. There is the possibility that a team could advance to or be drawn to the tournament round and be guaranteed three games. The Ontario Cup Tournament Host Application Form for the 2019 Ontario Cup is now available on OntarioSoccer.net. The deadline for Clubs to submit the application to its District Association is Jan, 10, 2019. The Competitions Management Committee will be meeting at the end of January to approve the applications that have been submitted through the District Associations. Therefore, it is requested that District Associations forward the applications received by no later than Jan. 17, so they can be compiled. May cost less to host a Tournament Round than it would for team to travel. Friday – Kick-off between 5:00 p.m. and 8:00 p.m.
Saturday – Kick-off between 2:00 p.m. and 6:00 p.m.
Sunday – Kick-off between 1:00 p.m. and 5:00 p.m.
A tournament group consists of four teams. A tournament group can be played on one field or two fields. There are two games on Friday, two games on Saturday and two games on Sunday. Ontario Soccer will be sending out a further email to Clubs and teams that participated in the Ontario Cup last year with information on the Ontario Cup Tournament Host Application process and the applicable deadlines.